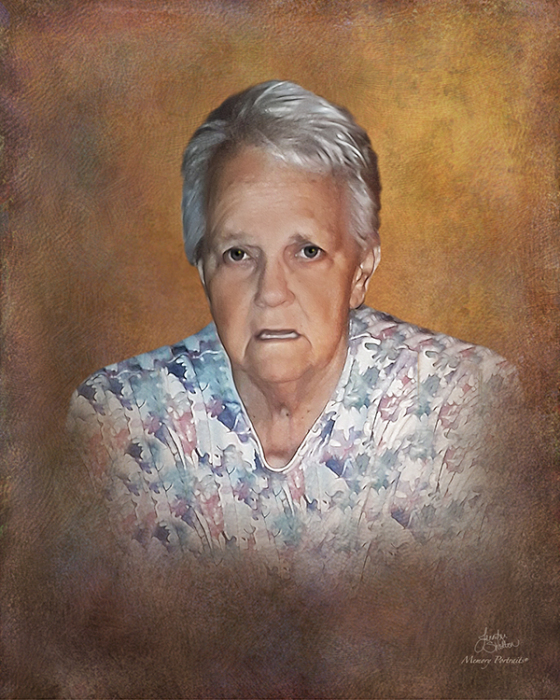 Mary E. “Libby” Arbuthnot, 78, of Fort Branch, IN, passed away at Transcendant Health Care in Owensville, IN. She was born to the late John and Suzie (Pollack) Blunk in Knox County, Indiana. Mary graduated high school from Patoka High School in 1958 and married Jerry Arbuthnot, Sr. with whom she was married to for 43 years. She was a member of Bethlehem Baptist Church in Fort Branch, Order of the Eastern Star and worked at TJ Maxx for 13 years. She is preceded in death by her loving husband of 43 years; Jerry Arbuthnot, Sr., a son; Jerry Arbuthnot, Jr., 2 infant daughters; Beverly and Penny Arbuthnot, and a brother; Raymond Blunk. Mary is survived by her daughter; Diana (Terry) Wright of Cynthiana, IN, Brother-in-law; Clarence “Lefty” Arbuthnot of Oakland City, IN, Special friends; Candice and Dan Yancey of Fort Branch, IN, 3 step grandchildren, 3 step great grandchildren, and several nieces and nephews. Services will be on Saturday, October 6, 2018 at 2:00 p.m. at Stodghill Funeral Home with Pastors Ken Reeder and Bill Carlisle officiating. Burial will be in Oddfellows Cemetery in Francisco, IN following services. Visitation will be on Friday, October 5, 2018 from 4:00 p.m. to 8:00 p.m. and again on Saturday, October 6, 2018 from 12:30 p.m. to service time. There will be an Eastern Star service on Friday, October 5, 2018 at 7:30 p.m. In lieu of flowers, the family has asked donations be made to defray funeral costs and medical expenses.